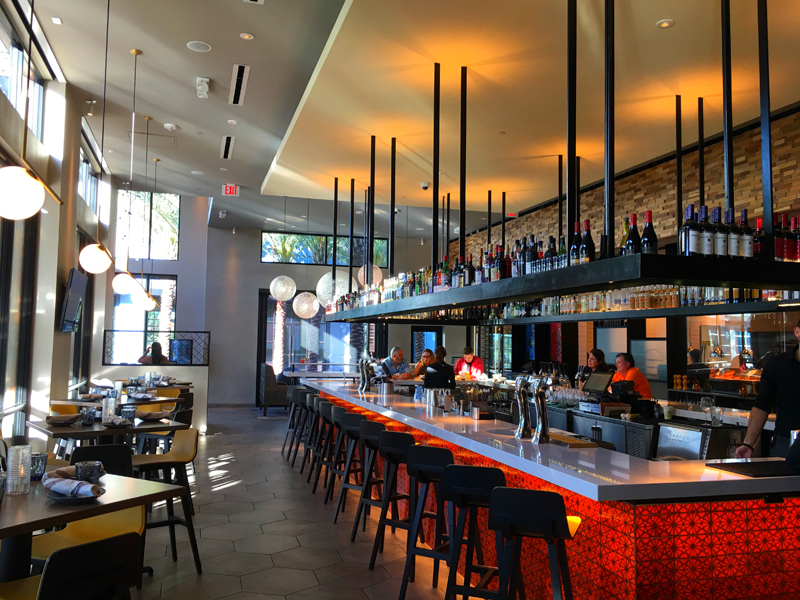 I have finally made the drive down to the ever new Lake Nona Town Center for a date night adventure to Chroma Modern Bar + Kitchen. Upon arrival, the parking garage is like a work of modern art. 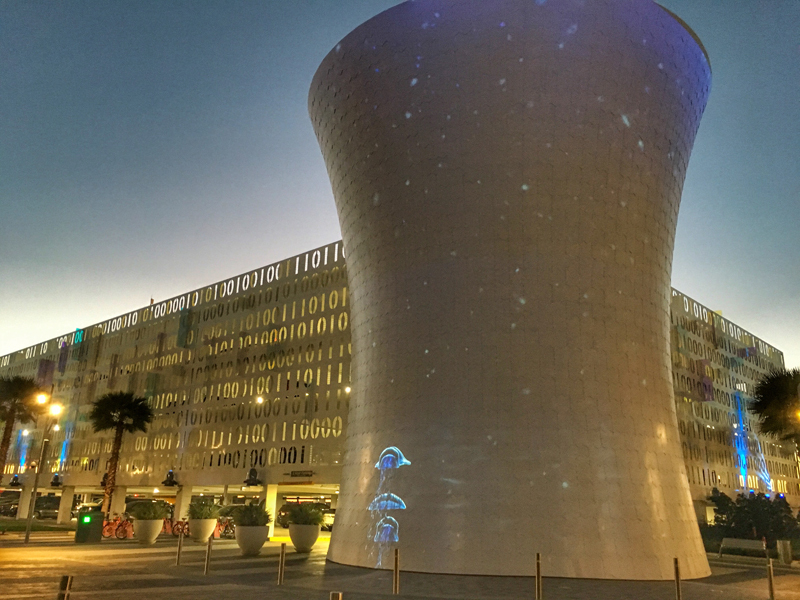 A six-story beacon with binary code wrapped in iridescent prisms that comes to life at night. 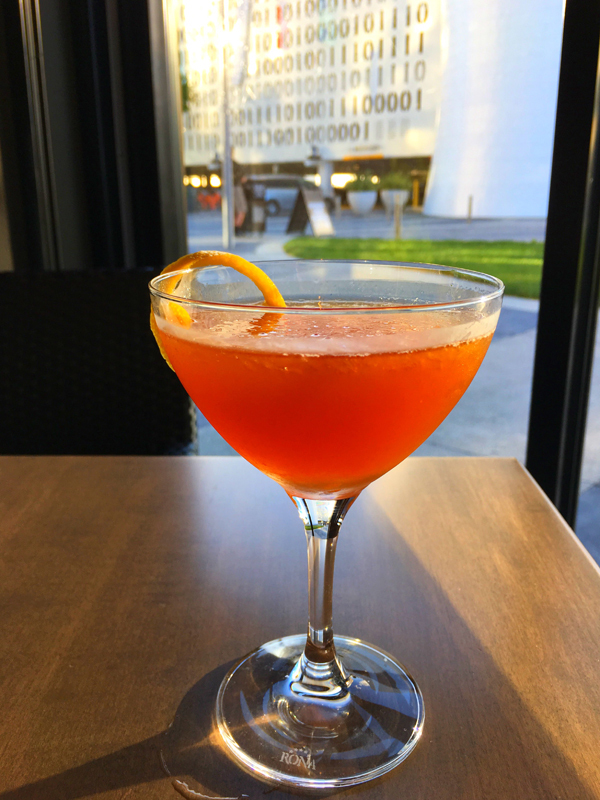 This innovative restaurant serves a bright menu of small plates, craft beer, wine, and specialty cocktails that will spark up your day. 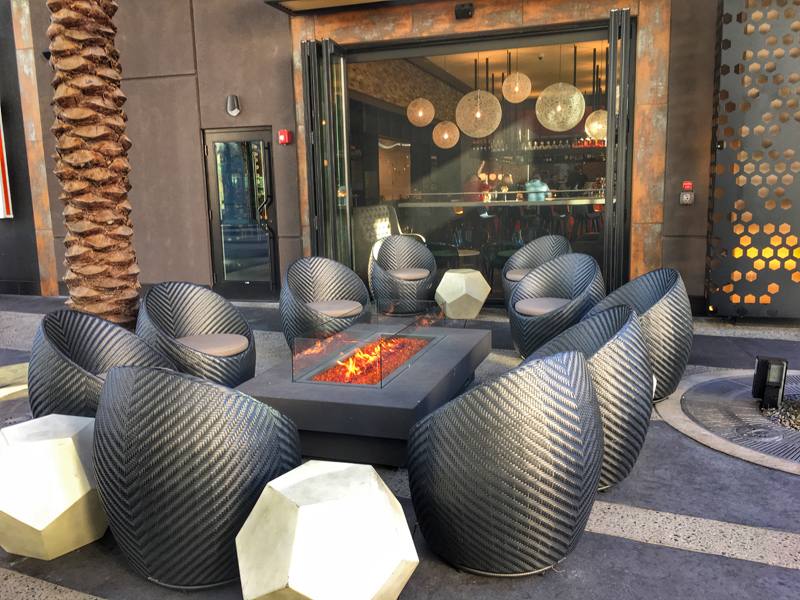 Chroma has many seating areas: outdoor patio, fire pit seating, bar and lounge, indoor dining room and solarium. 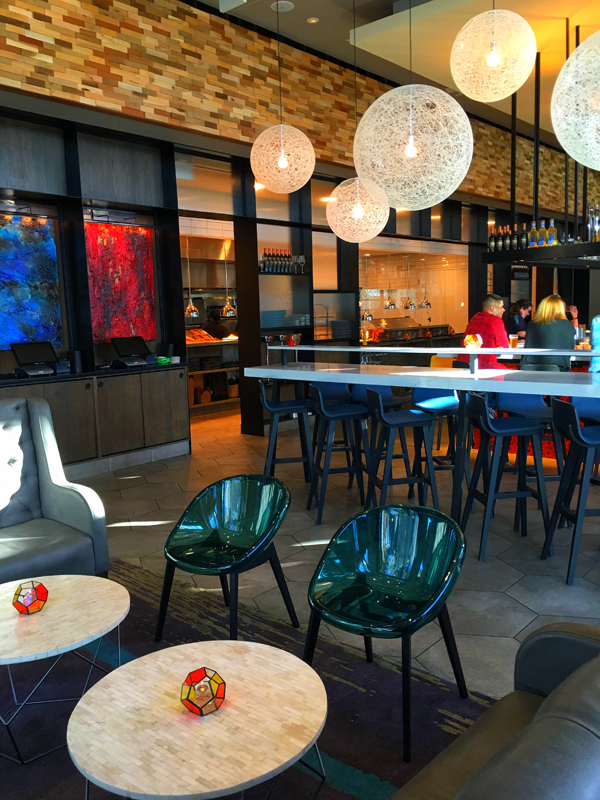 All are decked out in rich colors, large pendant lamps and the walls are adorned with modern art pieces. I really liked the swirl ombre painting on the wall in the hallway to the restrooms. We decided to dine in their Solarium room since there was an abundance of light and slight chill in the air. We said cheers to the start of the evening with cocktails. 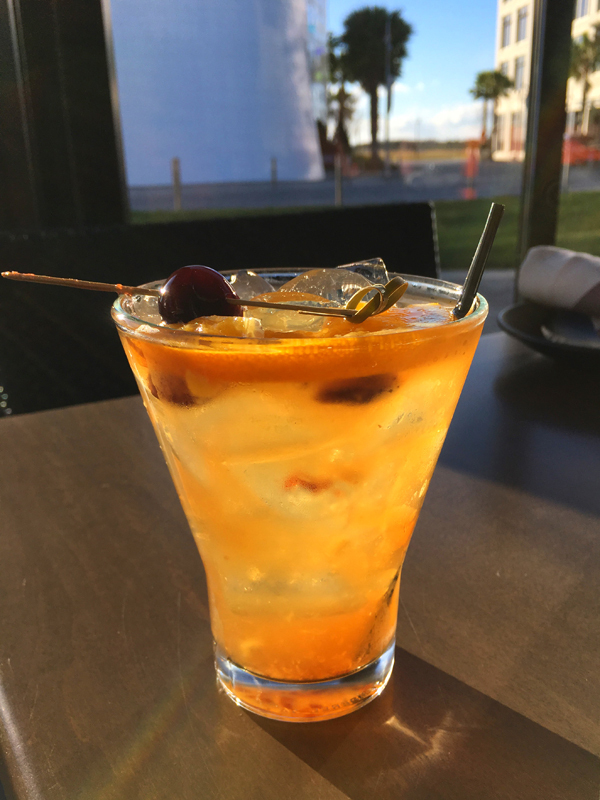 Darkened Peach Martini (Peach Nectar, Lemon, Stoli Vanil, Amaro Avernam Tito’s Handmade Vodka) and a Smokin’ Old Fashioned (Brandied Cherry, Orange, Smoked Simple Syrup, Pimento Bitters, Bulleit Bourbon). 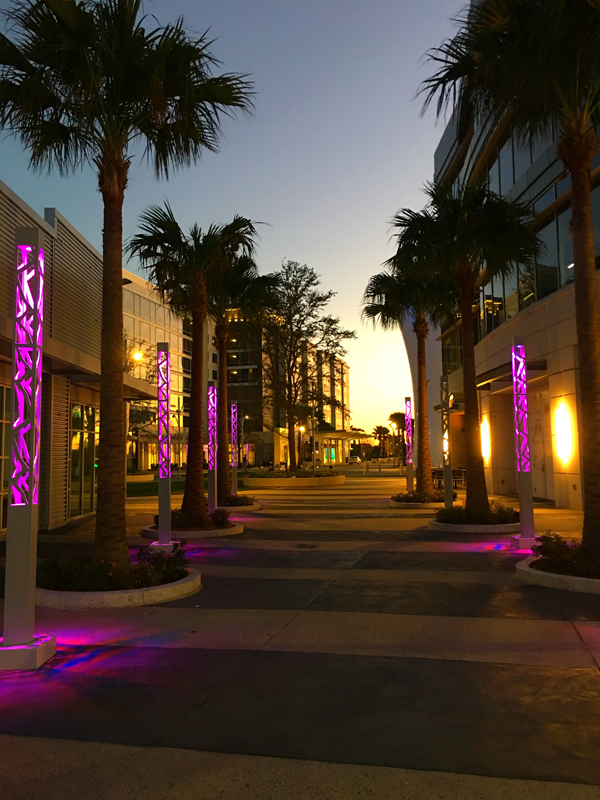 The Solarium gives fabulous views of Lake Nona’s community art installation, “The Beacon”. 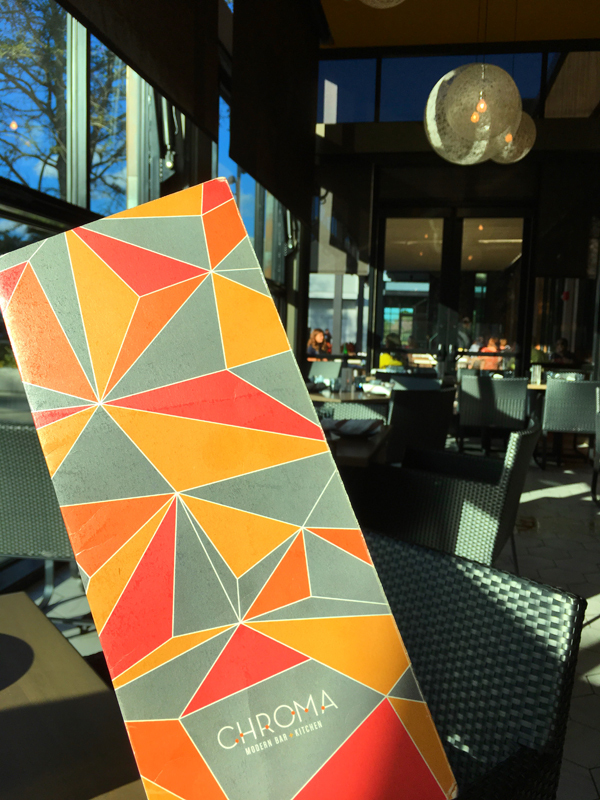 The menu is designed to be a selection of small plates tapas style to mix flavors to share amongst the table. It is divided into nine distinct sections. 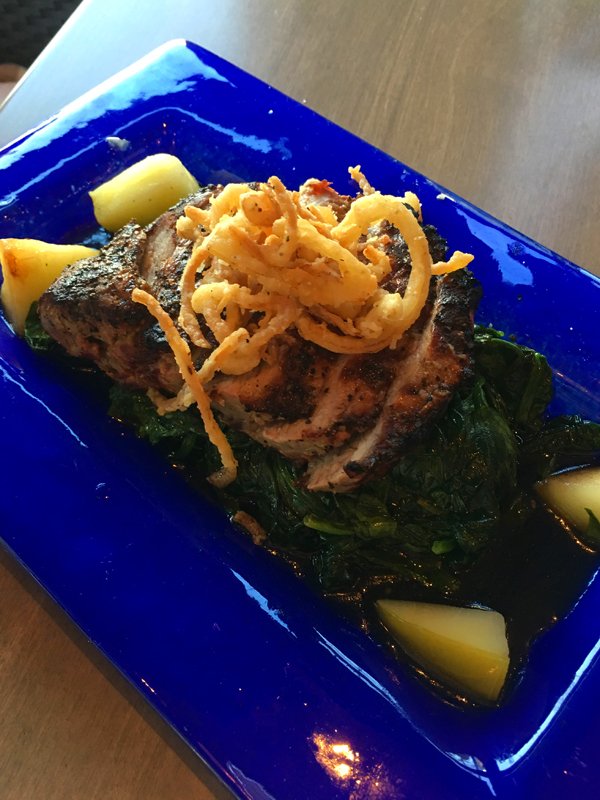 Our server Kelly was knowledgeable about the cuisine and was able to offer up great suggestions. She was friendly and explained how the dishes will come out as they are ready and not in any specific order. 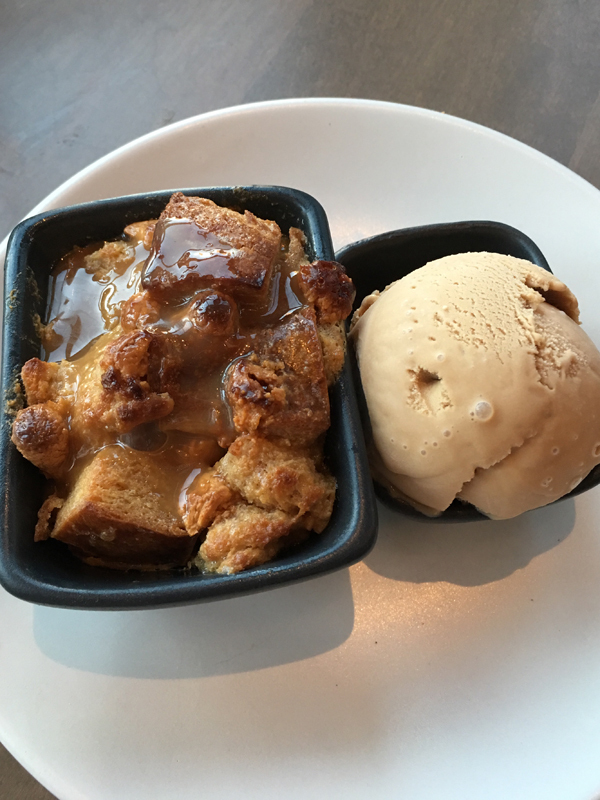 We really enjoyed being surprised by which yummy dish would appear for us to devour. Executive Chef Jason Bergeron was lovely to talk to and took the time to tell us how they make as much of the items in-house sourcing local produce and meats. You can see when he explains his cuisine, what awesome delight goes into each dish. There are nine sections but we ordered multiple courses from the various categories of the menu of This and That, Seafood, Beef, Veggies, Three-Bite Sliders and Dessert. Wild Tuna Poke: Crispy Wontons, Toasted Sesame Seeds, Avocado Crema, and Ponzu Sauce. 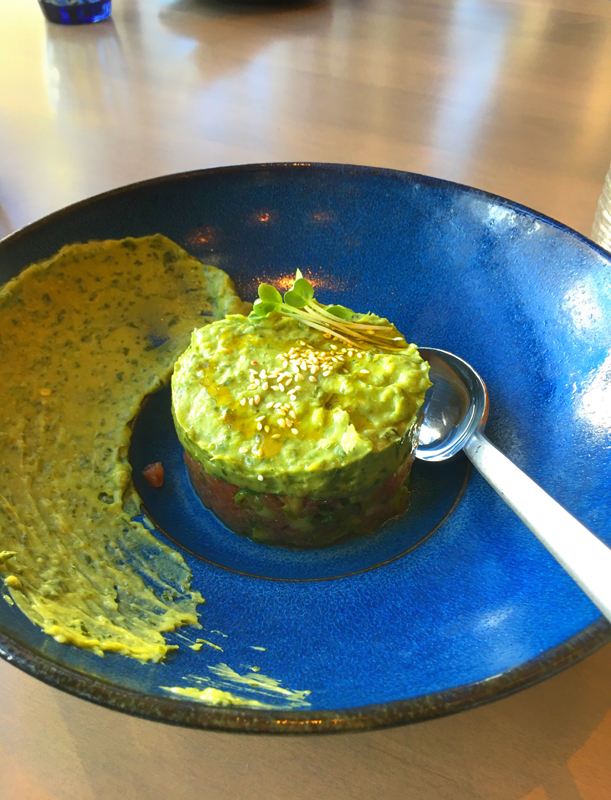 Beautiful presentation and the tuna was so fresh and paired with the avocado crema was a symphony of texture. I could have eaten the whole thing myself. 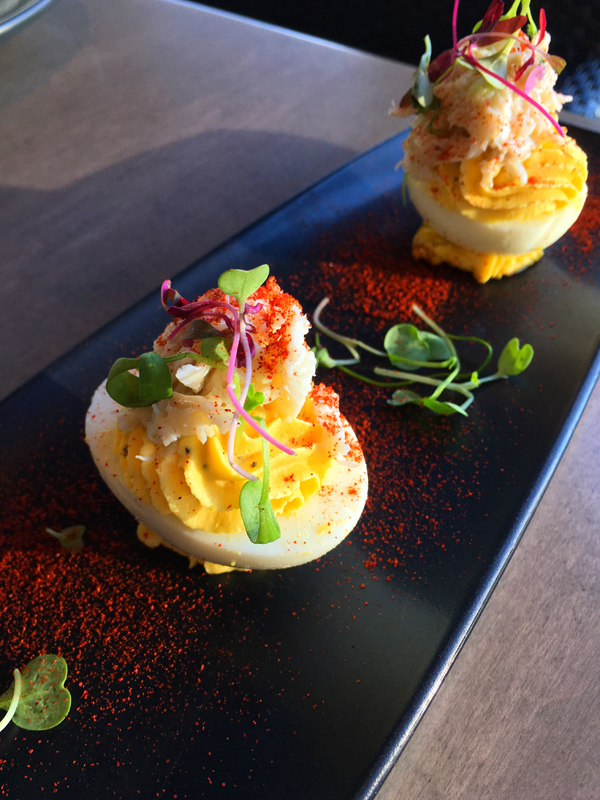 Deviled Egg: House Aioli, Smoked Spanish Paprika, Micro Greens and Crab. 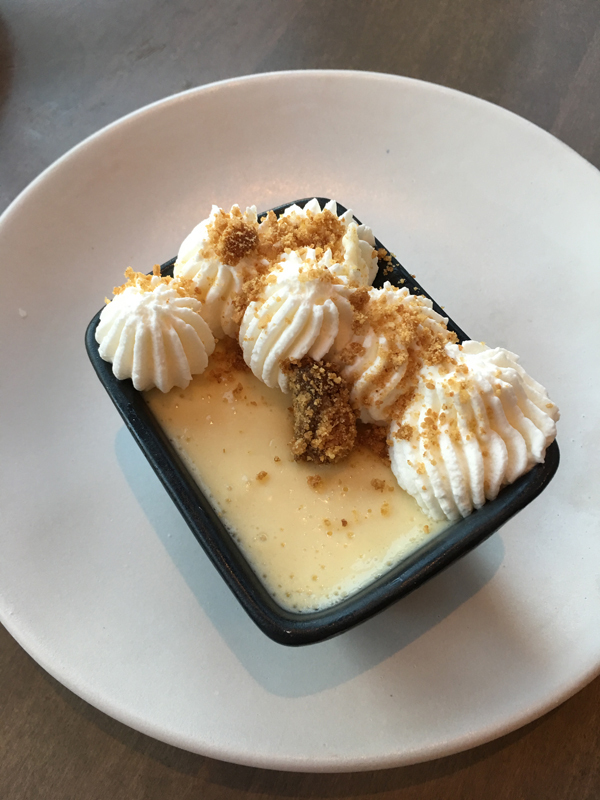 I have never had an deviled egg with crab before and I have to say it worked! They come as three in a serving and you can order them without the crab as well. 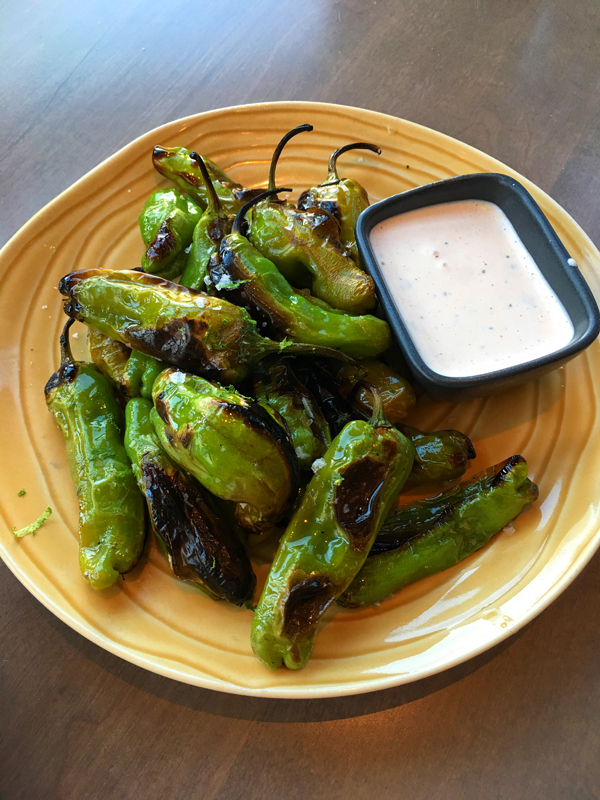 Charred Shishito Peppers: Lime Zest, and Buttermilk Dressing. This is a must try! That buttermilk dressing was the best I have ever had. With the zest and the char off the peppers made for flavor perfection. Chroma Burger : Short Rib Patty, Cheddar Cheese, Bourbon Onions, Bacon Jam, Dill Pickle, Brioche Roll. 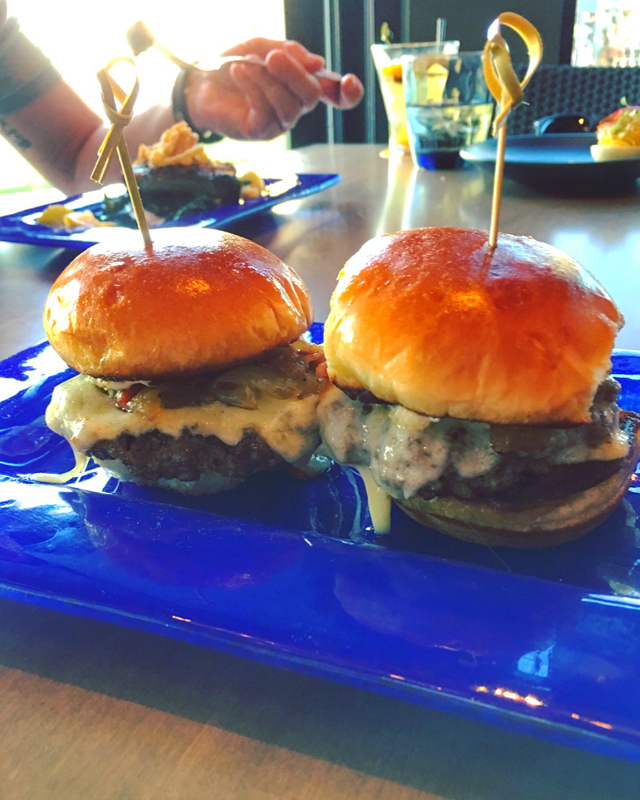 These three-bite sliders were stellar! I have heard about how amazing these are and they definitely lived up to their reputation. I will be getting them again in the future. 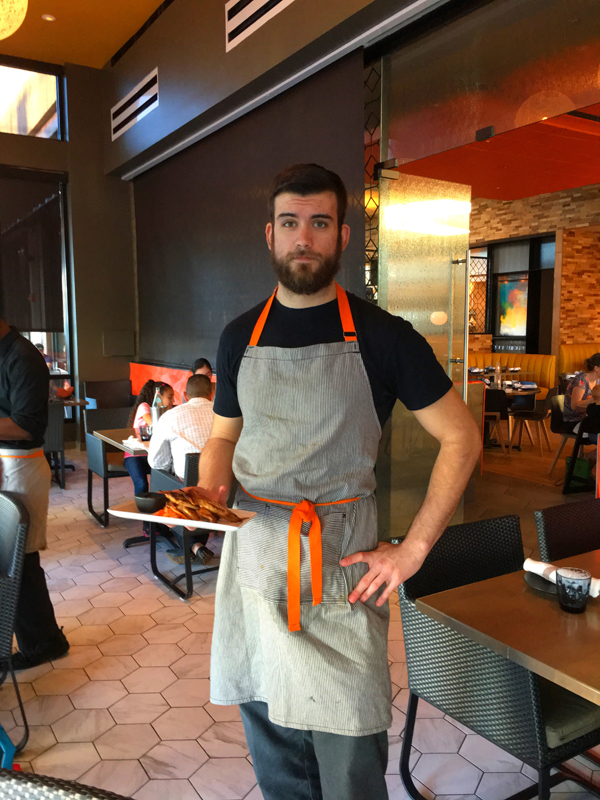 Grilled New York Strip: Broccoli Greens, Caramelized Stone Fruit, Citrus Oil. My husband loved this dish and thought it was a creative way to incorporate stone fruit. Service was on point and we were well taken care of. 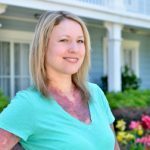 All of the team members were polite and friendly. Food was proper temperature and flavors were on point. 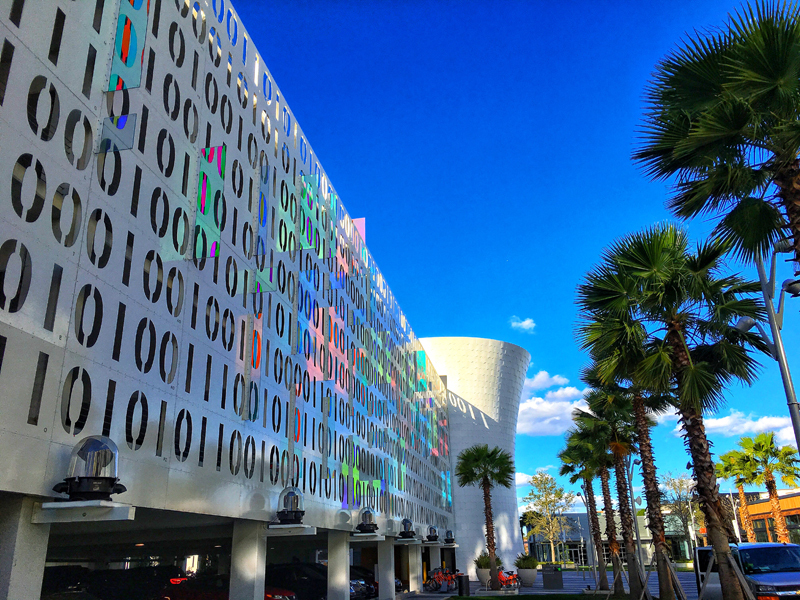 JEFRË, a noted public artist from Chicago designed a permanent, interactive sculpture called “Fusion” that is located on the wall of the exterior lounge. 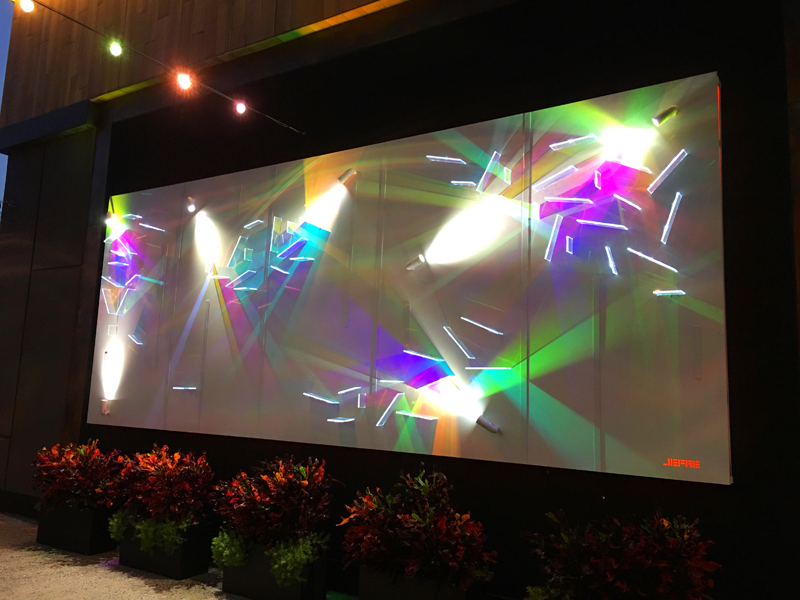 It is an aluminum canvas with dichromatic glass fins and lights that is an artistic extension of “The Beacon and Code Wall”. 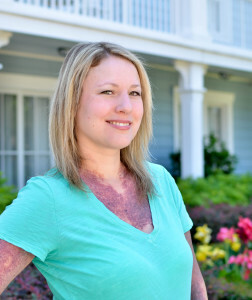 You have to stop by and see it for yourself. Love this piece! After dinner we strolled the center and every corner is some sort of lighted area or art installation. 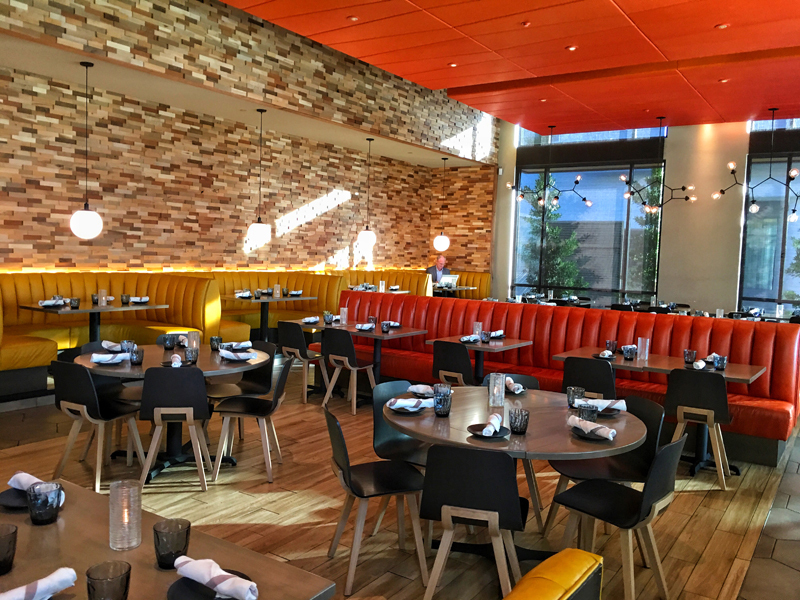 Chroma’s contemporary atmosphere is all around. It was really interesting to see the cool projections on the “The Beacon”. The night we were there an array of jelly fish and schools of fish swimming splashed across the display. It is a different scene each time. General Manager, Maurice O’Donaghue was gracious as ever and gave me a verbal tour of what’s happening in the Lake Nona area and of Chroma. 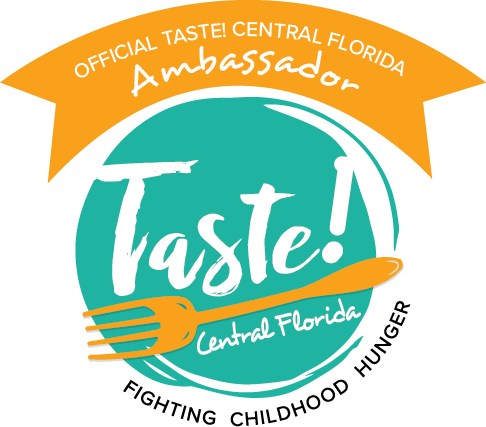 We can’t wait to return to try more of their extensive menu. 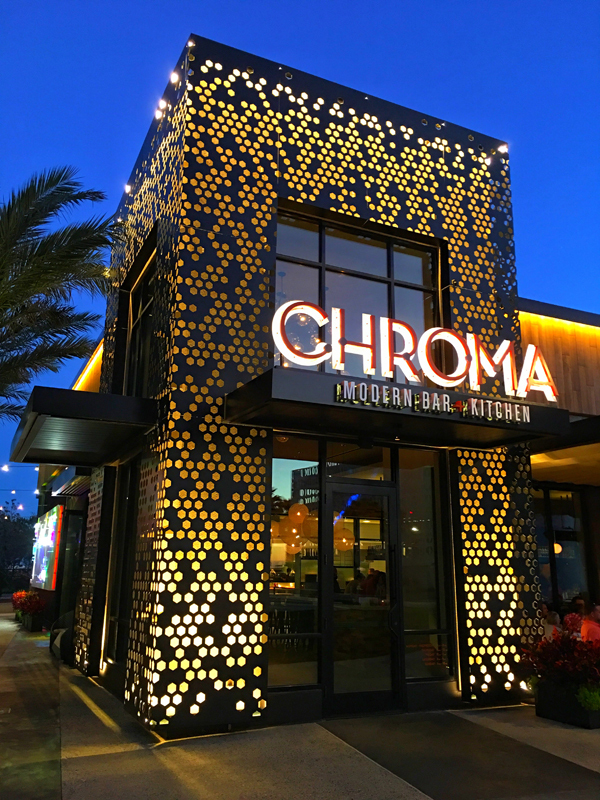 All in all Chroma Modern Bar + Kitchen is a happening place with demographics of dates, families and a fun meet-up spot. We really relished in our meal and soaked in the Modern Art that surrounded us. Thank you to Chroma Modern Bar + Kitchen for hosting us for dinner. As always, all opinions are my own.